Horsham’s police chief has hailed significant progress in the fight against gangs from London dealing drugs on our streets. 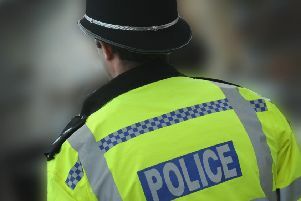 Chief Inspector Miles Ockwell said there has been a visible drop in violence in the town and surrounding area, as police get to grips with the emerging threat of ‘county lines’ drug dealing. He said: “We have had a reduction since April in violent offences in Horsham and again we have significantly reduced the number of addresses where there is cuckooing. ‘County lines’ refers to gangs and organised criminal networks which bring drugs into suburban, rural and coastal areas, using dedicated mobile phone lines, according to the Crimestoppers charity. The gangs move into a rural or suburban area for a short time, taking over the home of a vulnerable person where they set up a base, a practice known as ‘cuckooing’. County lines is generally marked with a high level of violence, preying upon vulnerable adults and child sexual exploitation. A recent example of county lines that came to the public eye was the brutal murder of beloved Horsham father Anthony Williams. Nicholas Bridge, 18, and Daniel Onofeghare, 20 were found guilty of killing him following a three-week trial in June. Bridge, from Brixton, was found guilty of murder. Speaking to the County Times, Ch Insp Ockwell said some of their recent success against county lines follows ‘a number of significant prosecutions in Horsham’. He said: “Not just the murder, there have been a number of [prosecutions] for other offenders in relation to knife crime. The district commander added that the cut in violence has been also due to police’s increased working with partner agencies. What is your experience of drug crime near you? Email your views to michael.drummond@jpress.co.uk.